As it got really crowded in the myrtle pot with already 10 saplings on 5 cm by 5 cm, I decided to take two out and put them into the eggcups I bought at Istanbul airport for this purpose. Well, not precisely this purpose, I bought them so they could be turned into bonsai pots for the seeds I brought from Turkey. So, I took those two from the pot with all their “siblings” and put them into their new homes. Then I decided to water my lemon pots again and lo and behold! I discovered that one of the seeds must have germinated one or two days ago! 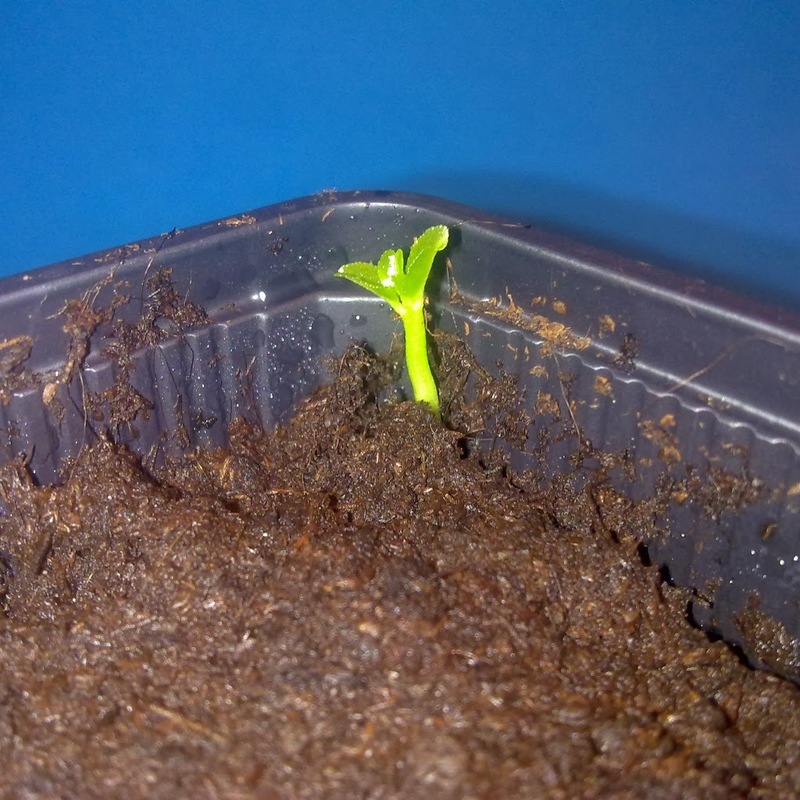 So the germination period of lemons seems to be two weeks upwards. I’ll see how many more will germinate. 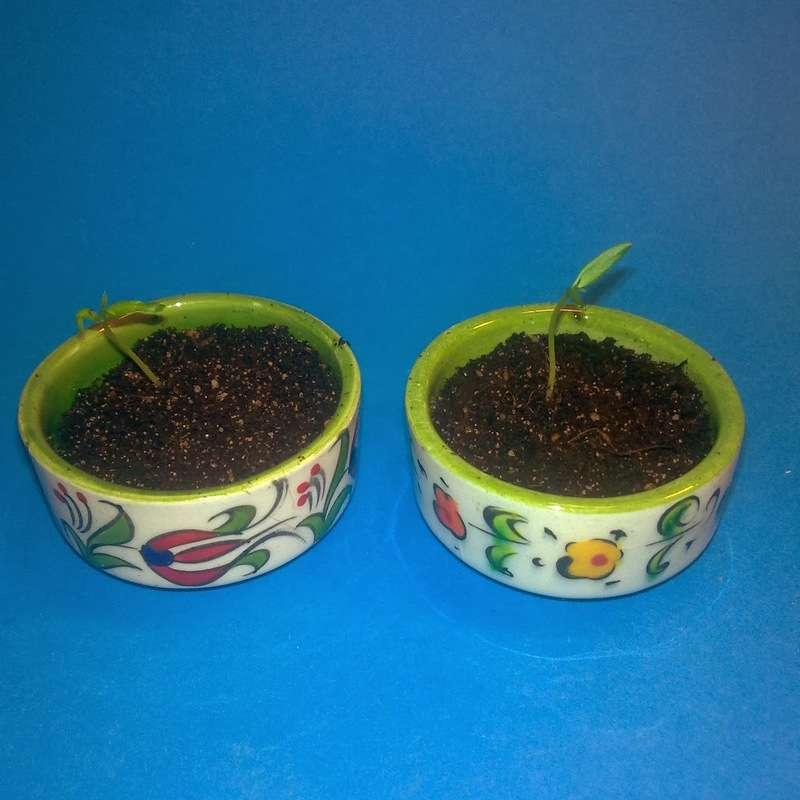 At first, I wasn’t sure whether it was really one of the lemon pips that had germinated or some weed that had found its way into the pot, so I did some research and found this blog entry with photographs of lemon saplings and that confirmed the identity of my sapling to be a lemon as well. Yeah! I was surprised how strong its stem is. The ones of the myrtle and pomegranate saplings are about an eighth of that.